Italy has produced some of the greatest artists in history and, so, it is the perfect place for those looking for inspiration on a painting holiday and for those who simply want to marvel at their artistic genius or soak up some culture. This week we round up our top 10 Italian artists who demonstrate why Italy is the best place to holiday for art lovers. Sandro Botticelli is a Florentine artist who was the favourite artist of the powerful, Florentine merchant banking family, the Medici. His most creative period saw The Birth of Venus which is to this day one of the most famous and widely recognised works. The work is currently held in the Uffizi Gallery in Florence and so a visit is a must on any trip to the city! Michelangelo Merisi, known as Caravaggio, is one of Italy’s most notorious artists. He was famous for his pioneering technique of chiaroscuro, the strong contrasts of light and dark that characterises his paintings; but also for his infamous temper. His lengthy police record listed sword fights, countless brawls and in 1606 he was forced to flee Rome after murdering a man. 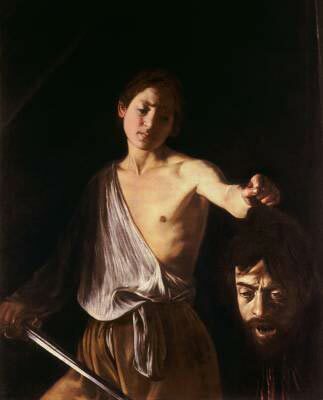 His violent nature can be seen in many of his works such as his dramatic beheading scenes such as his work David with the head of Goliath. The severed head thought to be a self portrait of the artist! Da Vinci is one of the greatest creative minds in history, who was not only an artist, but an inventor, engineer and a scientist. His collection of artworks reveal his genius and that he actually ‘invented’ the bicycle, airplane and parachute hundreds of years before their time. His most famous work is the Mona Lisa and has captivated and mystified audiences since its creation. Within the Galleria dell’academia in Venice you can find many paintings by the great Venetian artist Gentile Bellini. One of our favourites is Procession in Piazza San Marco (c1496) which gives an amazing insight into what the square looked like in the 15th century before many of the Byzantine buildings were replaced. Number 5 on our list is Vittore Carpaccio – the Venetian artist, not the beef dish. In his work The Healing of the Mad Man you can see so many fascinating details that allow us to see what Venice once looked like; such as the original wooden RialtoBridge that subsequently collapsed a few years after this painting was completed. Giovanni Fattori was a leading member of the The Macchiaioli (a group of Italian artists influenced by the French Impressionist movement) and spent much of his career working in Tuscany. He was particularly inspired by the Tuscan landscape and used the area of Maremma repeatedly. Number 7 is a female artist who is considered one of the most accomplished artists of the Italian Baroque period – which is no small feat in a time when female painters were not easily accepted. In her works we can see many examples of strong and suffering women from both myths and the Bible. 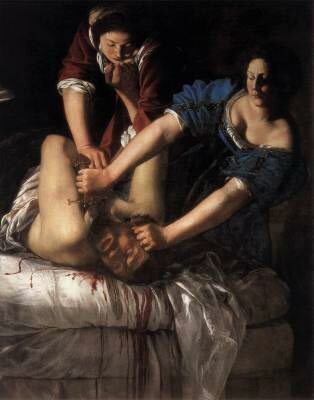 Her most famous work Judith Slaying Holofernes (now in the Uffizi Gallery) shows a graphic, brutal scene of Judith slicing Holofernes throat. Titian (also known as Tiziano Vecellio) is celebrated for his incredible use of colour and subtle meanings. This can perhaps best be seen in his stunning, mythological work; Venus of Urbino which is held in the Galleria degli Uffizi in Florence. Thought to be painted for Francesco Maria I della Rovere, wife of the Duke of Urbino, the work depicts Venus, the goddess of love. Titian’s Venus of Urbino is a representation of the perfect Renaissance woman who, like Venus, was a symbol of beauty, love and fertility. Annibale Caracci was born in Bologna and together with his brother and cousin opened a school for artists where they established an eclectic style that took inspiration from Florentine and Venetian artists. Annibale was famous for his religious works such as The Flight into Egypt and Domine, Quo Vadis; however his less formal, genre paintings are arguably his most interesting. 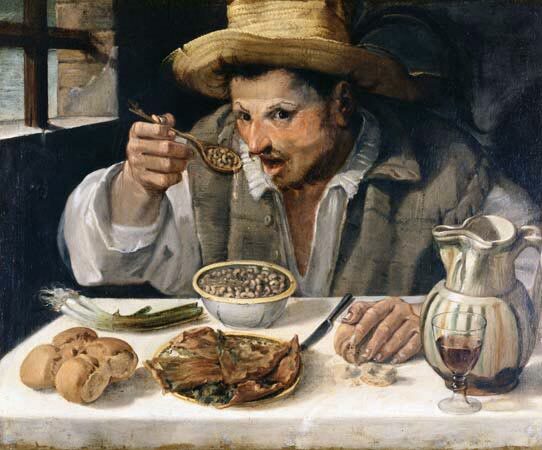 For example, works such as The Bean Eater and The Butchers Shop which document daily life in a more course, scratchy manner show his studies of the everyday man. To round up our top 10 of Italian artists we have Giotto di Bondone; one of the first artists to contribute to the Italian Renaissance. 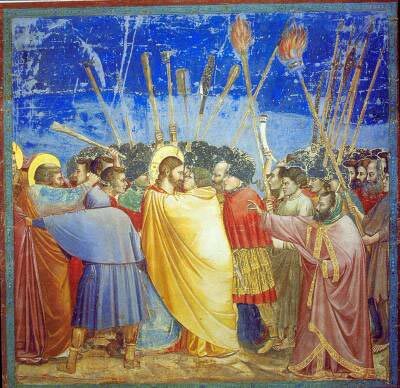 His Kiss of Judas (which is thought to be as early as 1304) is a stunning fresco by Giotto that can be seen in the Scrovegni Chapel in Padua. The work is a great example of what a pioneer Giotto was. His style was wholly new in that he arranged his scenes so that they were a believable space with a real sense of depth. Giotto broke from the traditional, very flat Byzantine style and brought to life the great art of painting as we know it today! So, whether you are a fan of Botticelli’s beauty or Caravaggio’s drama, Italy really is the best place in the world for art lovers! Most importantly, there is nothing quite like getting to admire these incredible paintings in person. So, if you are looking for inspiration on one of our Italian art holidays, or are looking to make the most of your trip to Italy – make the pilgrimage to see these artists. To find out more contact one of our staff members.